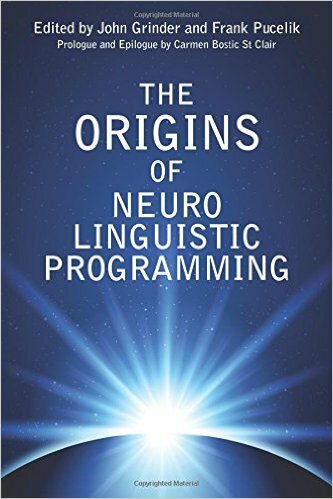 The Origins of Neuro Linguistic Programming brings together the recollections and thoughts of some of the main protagonists from the very early days of NLP. In 1971 Richard Bandler and Frank Pucelik were students at Kresege College at the University of California Santa Cruz. They had a strong mutual interest in Gestalt Therapy, Frank because of his traumatic time in Vietnam and because he had been working with some disaffected and drug-addicted kids, and Richard because he had been working with Science and Behavior Books on transcribing and editing Fritz Perls’ seminal work, The Gestalt Approach and Eyewitness to Therapy. They started a local gestalt group and ran 2-3 sessions a week collaborating and experimenting with the language of therapy. They started achieving some brilliant results but were having problems transferring their skills to others and so Richard invited one of their college professors, John Grinder, to observe what they were doing in order that he would, hopefully, be able to deconstruct what they were doing that was so effective. John was a professor of Linguistics and was instantly impressed with the work that they were doing. He was able to add more structure and in due course the three of them formalised what is now known as the Meta Model. NLP was born. • Terry McClendon (author of the first history of NLP, The Wild Days). 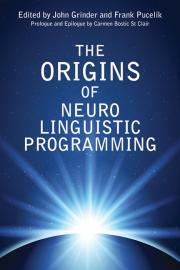 An extremely insightful and riveting read for anyone interested in NLP.